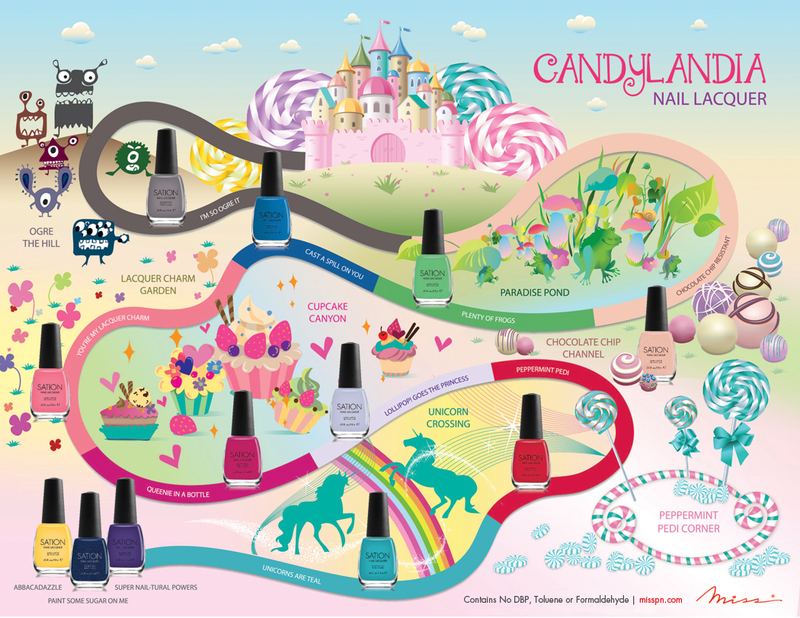 Miss Professional Nail (Miss) has launched “Candylandia,” their Limited V nail lacquer collection. The flavored, fantasy-themed line presents 12 candy-coated colors with a mouth-watering range of confectionary names. Candylandia was inspired by the edible escapism of Hasbro’s Candy Land board game, a classic favorite spanning six decades. Miss loved the bright, playful visuals of the swirly rainbow board, which sparked the creation of its own irresistibly sweet polish palette. This whimsical collection offers winning colors that will stir up memories of childhood imagination and endless game-playing. 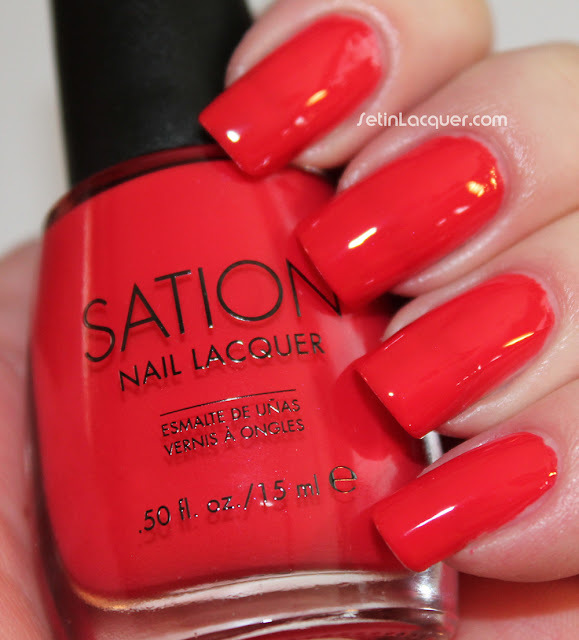 Embark on a magical, manicured journey filled with fun characters and luscious lacquers. Candylandia was released in January and is waiting for you to join the game. Polish players, take your places at the Sation starting line! And dibs... I get "Cast a Spill on You" for my game piece! This collection can be purchased on the online store for $5.